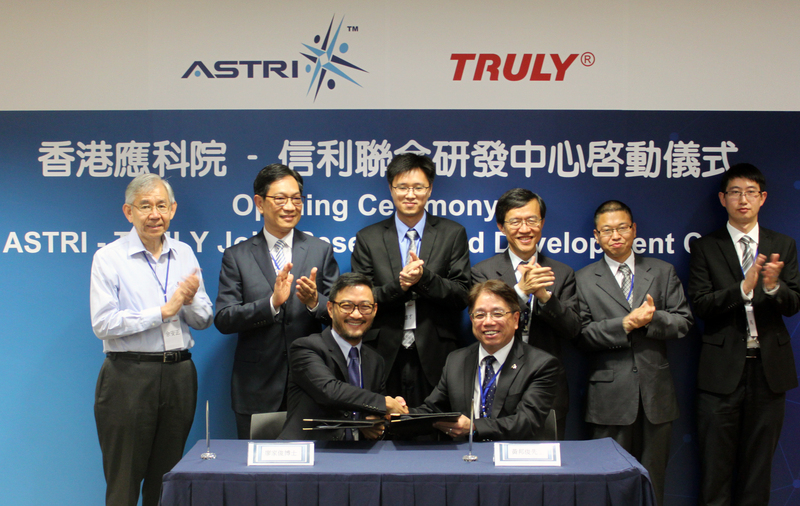 [Hong Kong, 1 June 2015] Hong Kong Applied Science and Technology Research Institute (ASTRI) has strengthened collaboration with TRULY International Holdings Limited (TRULY) to jointly set up the ASTRI-TRULY Joint Research and Development Centre for accelerating professionalization and commercialization of new technology. An opening ceremony was held today to officiate the setting up of ASTRI-TRULY Joint Research and Development Centre with Dr. Jack Lau, Acting Chief Executive Officer (CEO) of ASTRI and Mr. James Wong, Chief Operation Officer (COO) and Group Executive Director of TRULY, as the officiating guests. 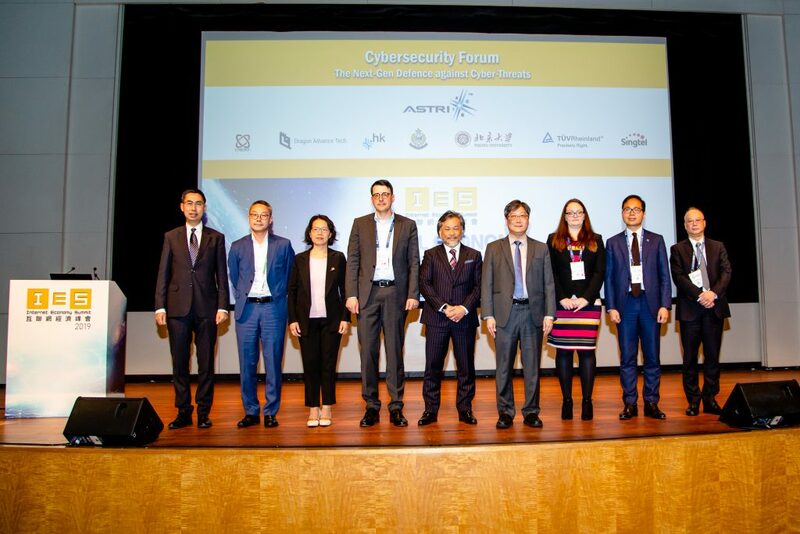 The ceremony was witnessed by Mr. Wong Ming-yam, Chairman of the Board, ASTRI, Dr. Enboa Wu, Vice President and Group Director, ASTRI, Prof. Yue On-ching, Science Advisor, Innovation and Technology Commission, The HKSAR Government, Mr. Kevin Xie and Mr. Mengxiang Li, Vice General Managers, R&D Center of TRULY Semiconductors Ltd, and Mr. Bruce Ma, Vice General Manager, R&D Department of TRULY Opto-electronics Ltd.
TRULY’s production facilities in Shanwei and Huizhou will also be engaged in the collaboration, covering various technology areas such as internet intelligent terminal, intelligence automobile, Industry 4.0, etc. With the establishment of ASTRI-TRULY Joint Research and Development Centre, a number of joint research projects will be launched, including “Industry Collaborative Project” program. Both parties will jointly set up the state-of-the-art LCoS (Liquid Crystal on Silicon) Display Technology Joint Laboratory to develop head up display (HUD) parts and technology. The aim of setting up this Joint Research and Development Centre is to develop a collaborative platform that can benefit to both parties in the long run. 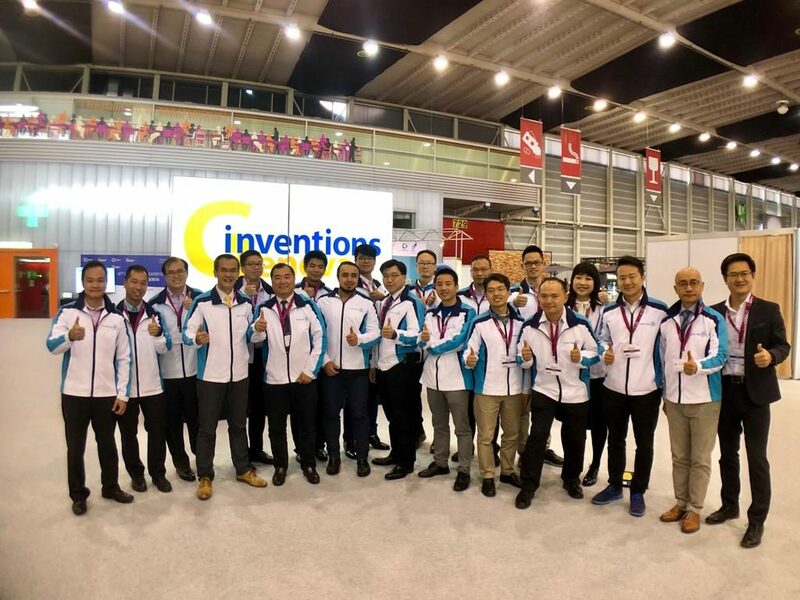 Through this collaboration, both parties can leverage on each other’s strengths, incorporating ASTRI’s latest R&D technology and TRULY’s manufacturing capacity together. This can also facilitate a more integrated and professional strategic partnership development which is different from the independent format of project collaboration in the past. 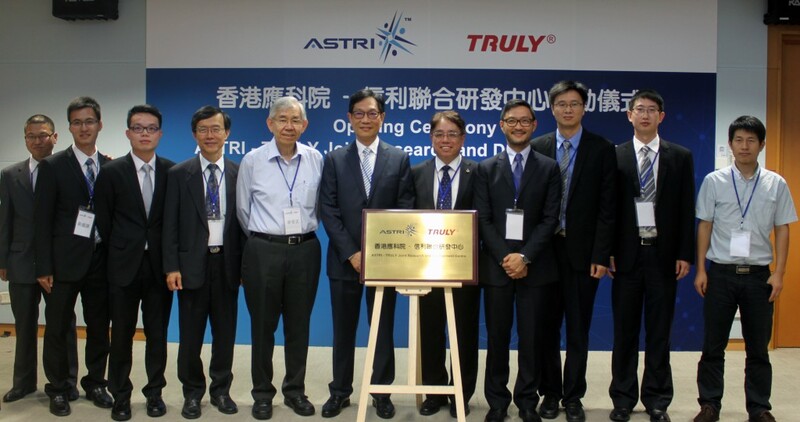 ASTRI Acting CEO Dr. Jack Lau is very pleased that ASTRI and TRULY can join hands in R&D development. Dr. Lau said, “Not only is TRULY a manufacturer with strengthens and technical capacities, it is also the leader of intelligent display technology in the industry in recent years. With the establishment of Joint Research and Development Centre and Laboratory, we can accelerate commercialization R&D projects in the market through this platform, grasping the business opportunities in the growing markets in Mainland China. 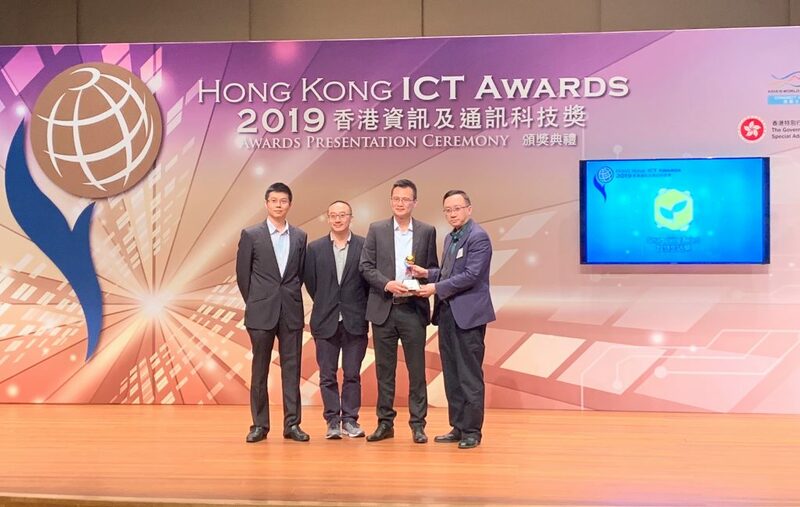 In addition, the collaboration set a good example in the industry, attracting more excellent companies like TRULY to set up research centre in Hong Kong. We strongly believe that such collaboration is mutually benefit and long-lasting. 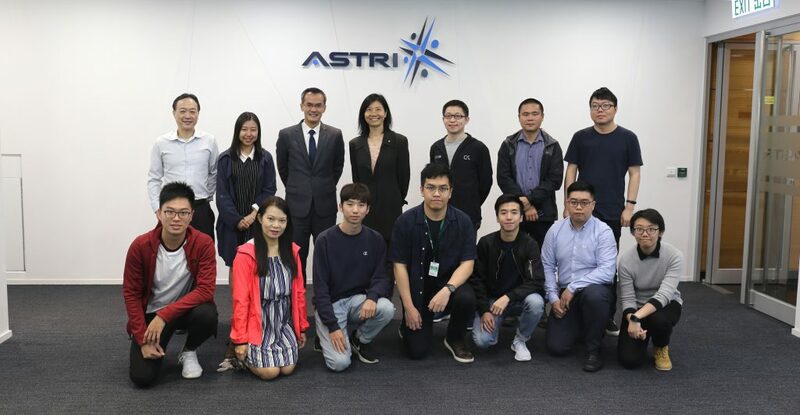 Speaking at the ceremony, TRULY COO Mr James Wong said, “ASTRI strives to develop IC Design, software system, and communications technologies. It has teams of brilliant researchers for developing R&D projects. ASTRI has about 400 R&D personnel from renowned universities from national and overseas in ASTRI, with 27% holding PhD degree and more than 50% holding Master’s degree. Since its inception, ASTRI has been granted more than 500 patents, creating tremendous economic impacts. Being a collaborative partner of ASTRI, TRULY is endeavour in developing R&D projects. TRULY has invested a lot in specific areas like LTPS (Low Temperature Poly-silicon), AMOLED display technology, compact cameras, and fingerprint identification technology, etc. in recent years. The setup of Joint Research and Development Centre between TRULY and ASTRI will further strengthen TRULY’s development in internet intelligent terminal, intelligence automobile, Industry 4.0, etc. It can also consolidates and expand the development of TRULY’s research team in Hong Kong. The Joint Research and Development Centre will be directed by an Executive Board composed of management representatives from TRULY and ASTRI. The Centre will physically be located in ASTRI. The fund contributed by ASTRI comes from Innovation and Technology Fund managed by the Innovation and Technology Commission. Dr. Jack Lau (front, left), Acting Chief Executive Officer of ASTRI, and Mr. James Wong (front, right), Chief Operation Officer (COO) and Group Executive Director of TRULY, sign an agreement on behalf of the respective companies to strengthen the collaboration.The signing was witnessed by (back row, from left) Prof. Yue On-ching, Science Advisor, Innovation and Technology Commission, The HKSAR Government, Mr. Wong Ming-yam, Chairman of the Board, ASTRI, Mr. Kevin Xie, Vice General Manager, R&D Center of TRULY Semiconductors Ltd, Dr. Enboa Wu, Vice President and Group Director, ASTRI, Mr. Mengxiang Li, Vice General Manager, R&D Center of TRULY Semiconductors Ltd; and Mr. Bruce Ma, Vice General Manager, R&D Department of TRULY Opto-electronics Ltd.